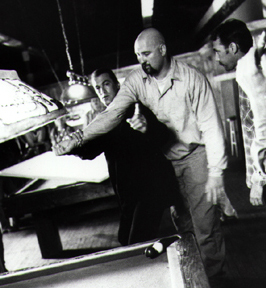 "Action Pictures from Fire Down Below." 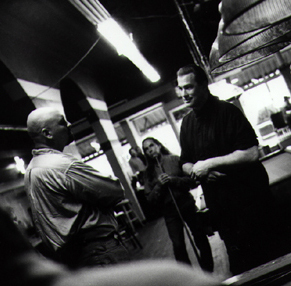 / Legend Bobby Brown looks on. 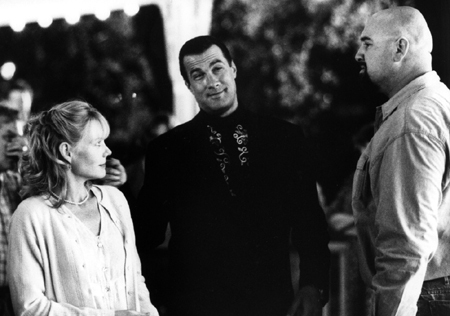 by Steven Seagal "Fire Down Below"
Look how high my foot is on this flip!!!. 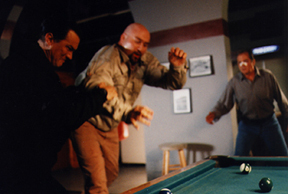 It doesn't get any more intense than this. 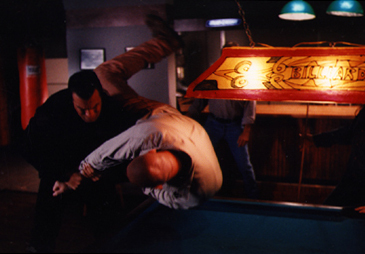 I didn't think pool rules allow your opponent to put YOU in the corner pocket! 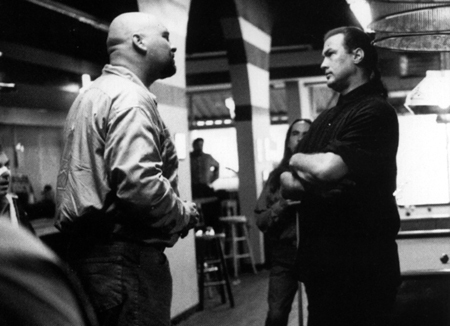 Getting in Steven Seagal's Face "Fire Down Below"
Telling Steven that he "came this close.....". 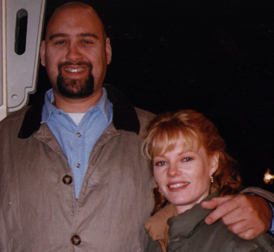 Trying my best not to make anyone laugh as Marg Helgenberger watches. 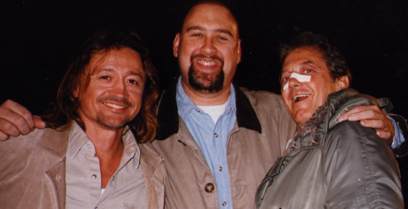 "Photos with the Stars on the Set." 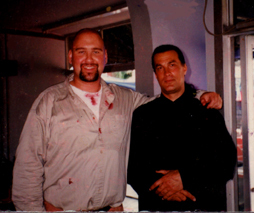 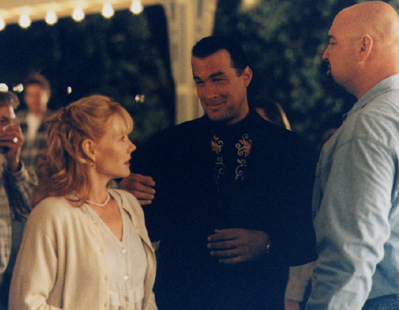 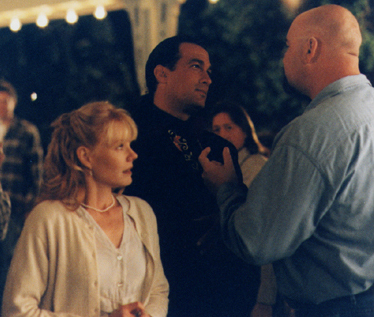 With Film Great-Steven Seagal on the set. 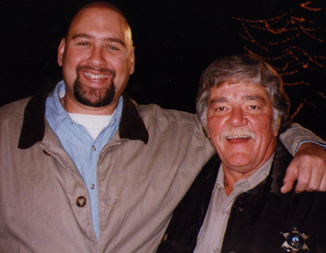 With Ed Bruce as Sheriff Lloyd. 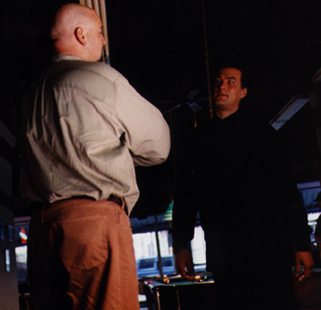 With Ed Bruce as Sheriff Lloyd "Fire Down Below." 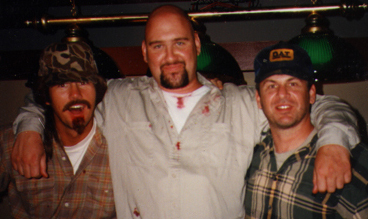 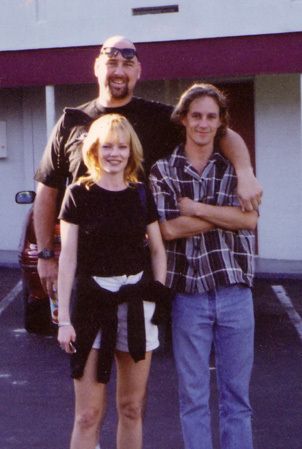 With fellow rednecks Jeff Podgurski (L) and Randy Popplewell on the set of "Fire Down Below"
"Film Clip from Fire Down Below."